For the last few months John and I have been eating anything that strikes our fancy-fried stuff, red meats, carbohydrates galore. It is time to stop and get back to eating in a healthy manner. Luckily we have been cooking all along and now just have to switch gears a little. 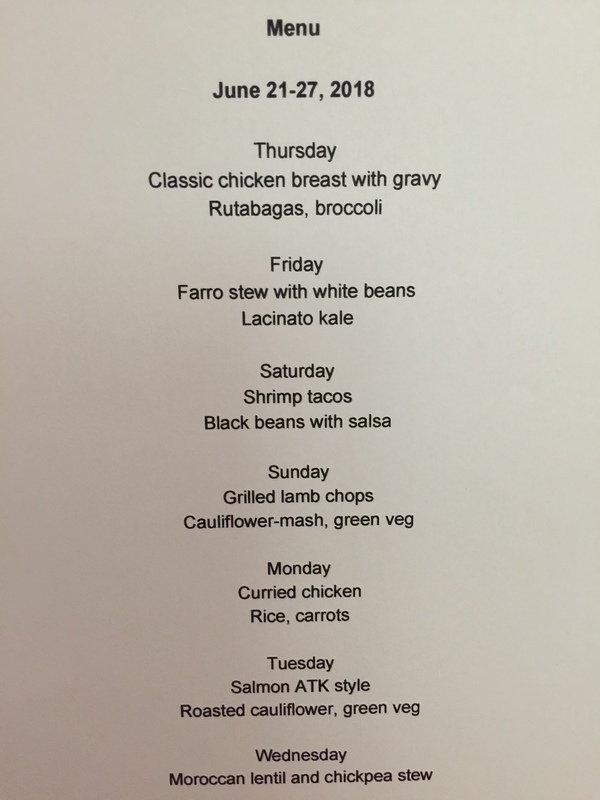 We have decided that each week our dinners should be comprised of two vegetarian meals, two poultry meals, two fish/shellfish meals, and one red meat meal. Breakfast and lunch have never been a problem. We also need to cut down on the snacks before dinner. Eating dinner a bit earlier should take care of that. We also have never had an eating-after-dinner problem.